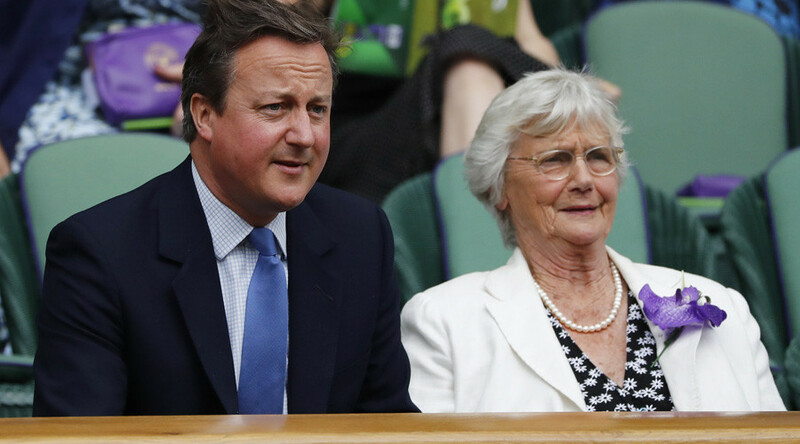 Former Prime Minister David Cameron’s mother has won an award for campaigning to reverse government cuts introduced by her son. Mary Cameron was named Mother Knows Best of the Year for signing a petition opposing Oxfordshire Council’s closure of a children’s center where she used to volunteer. Mary, now in her 80s, joined a campaign last year against shutting down 44 children’s centers in around her son’s former constituency of Witney. The center she lobbied to keep open was forced to close after Cameron’s cabinet ordered a spending review that sought to cut council funding by 24 percent during the current parliament. The former PM himself escorted his mother to the Oldie of the Year Awards, which were held in London’s Simpon’s-in-the-Strand restaurant. David was seen laughing and clapping during a succession of speeches about Brexit, the Labour Party, and Donald Trump, according to the Telegraph. The ex-PM famously invoked his mother’s spirit during one session of Prime Minister’s Question Time, when he gave Labour leader Jeremy Corbyn fashion advice. In her acceptance speech for the award, Mary took a jab at her son’s old adversary. “I suppose I should share this with the leader of the opposition. Ever since that Prime Minister’s Question Time he has smartened himself up and looks reasonably respectable. “I only wish my own family were as obedient,” she said. Mary caused her son further embarrassment when she publicly said she was “very sad” that a children’s center where she volunteered was to close. Chieveley and Area Children’s Centre in Berkshire shut down at the beginning of last year. According to the Independent, she said at the time: “I am very sad that it is being closed down, but if there’s not enough money to pay for it, things have to go. I enjoy it very much and have been going there for a year and drive families around occasionally. “I don’t really know what can be done really, as I’ve just heard about it. If it closes down, then I shan’t be volunteering, because there will be no one to volunteer for. “If it keeps going at all, I will obviously go on helping if I can,” the former-PM’s mum said. US Senator Bernie Sanders won the ‘should-have-been-of-the-year award,’ which was picked up by his brother Larry in his absence.